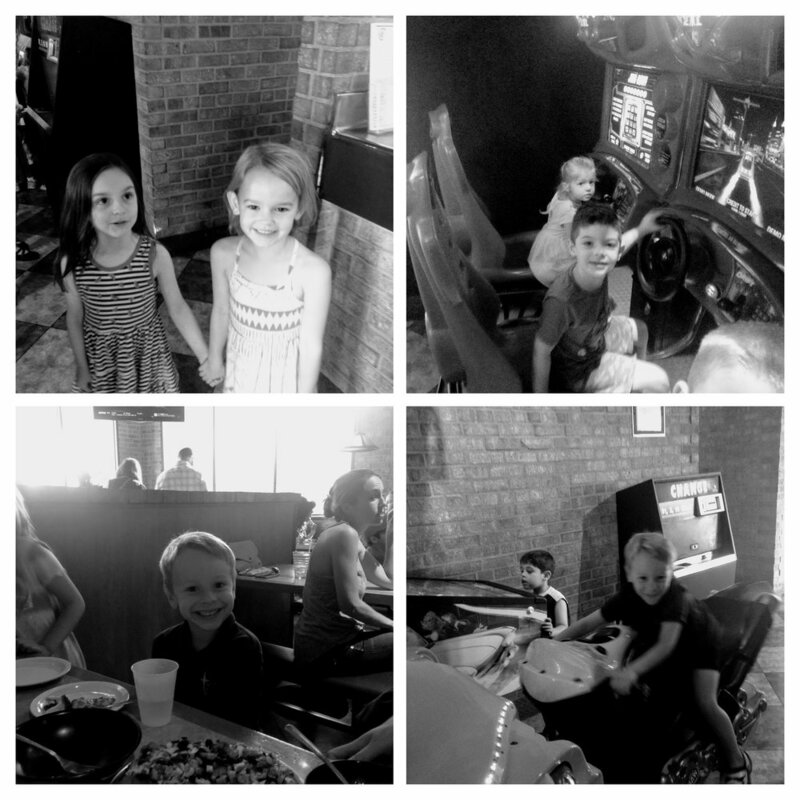 Thank you to all of you who came out to our Toppers Fundraiser this week. Mrs. Meyer and I love to see you supporting our school. PIZZA! PIZZA! PIZZA! In the future, feel free to email me any pictures you have from these events. I missed a few of our students who attended and I'd love to get everyone next time. Music with Mr. Leslie. Listen to our beautiful voices. Learning more about the letter C.
Not only are we learning the proper way to write a C, we are making it fun. We formed letters on our friends backs and transformed our bagels! Shaving cream is a wonderful cleaning tool. It is so fun to rub into different surfaces, scrubbing out the dirt as you go. We tidied up our outdoor art center so we can start using paint. We even made my truck sparkle! 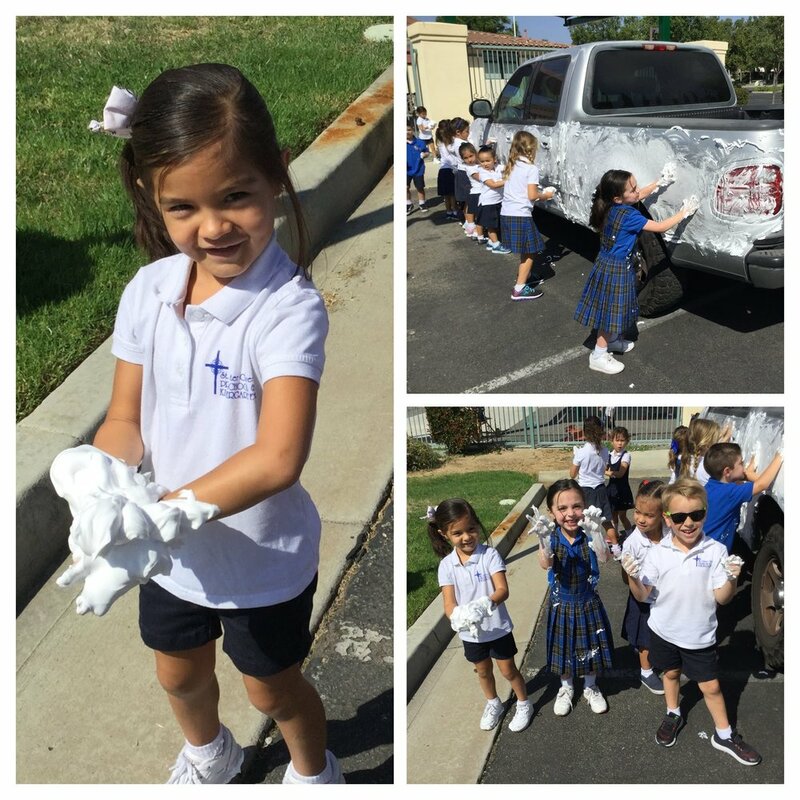 It was a great experiment to see if shaving cream would work on a car. You could see the dirt swirl as the kids lathered up the shaving cream. It was cool and gross at the same time. On Fridays we have the option of bringing a dollar for church. We can either use it to light a candle or give it to the poor box. Another week gone, we are already up to 14 days of school. Next week we are making the transition to full days. We are introducing Spanish, PE, Centers, and Car line. Its going to make for an interesting post next Friday! What do you call a dinosaur that's sleeping? Newer PostOne Whole Month of Kindergarten!